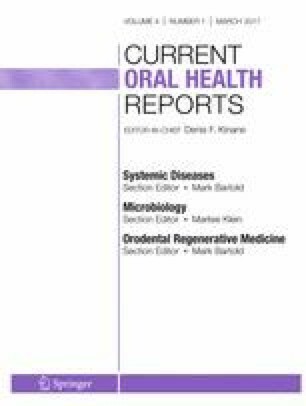 This review highlighted the state of the art regarding functional materials that have been used to hinder oral biofilm, focused on the materials used over the last 3 years to achieve an antimicrobial effect, considering the effects of its modification on the physical properties. Because dental restorations have failures and the main cause was found to be the presence of secondary caries, the recent studies in this field are focused on development of functional dental materials with the ability to hinder oral biofilm. Therefore, composite resins, glass ionomer cement, and dental adhesive systems have been modified with different functional materials to obtain the antibiofilm properties. For this purpose, several antimicrobial materials have been used, such as inorganic fillers nanoparticles, bioactive glass, functional monomers, and chlorhexidine. The ability of materials to hinder biofilm-dependent diseases depends on the amount of the antimicrobial materials, size, physical and chemical properties. In the last years, studies have demonstrated great results in the use of materials aiming to decrease or control oral biofilm formation; however, some authors indicate that research of bacterial effects on these materials are still needed. The authors thank the Coordination for the Improvement of Higher Education Personnel (CAPES) and Amazon Research Foundation (FAPEAM) for the scholarships for the graduate students involved in this paper (H. B. Dias, V. T. F. S. Souza, R. A. Martins, A. C. B. Mendes, M. I. Ap. V. Souza).